The ability to lose weight quickly and effectively is sought by many people. 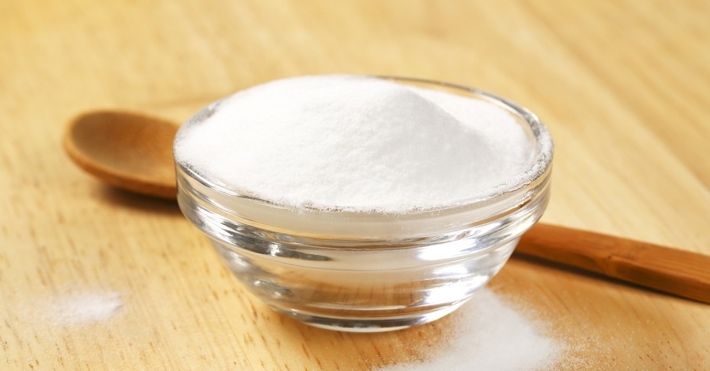 Since baking soda has many uses, including soothing sore muscles, acting as a deodorant, curing indigestions, and even a multi-use household cleaner, it is not surprising some might think it can help with almost anything. But can baking soda really help with weight loss? Unfortunately, research does not support that baking soda is effective for weight loss. It is thought that baking soda can burn fat but it has no effect on it. Because it helps with indigestion and can calm stomach acids, it is rumored to affect calorie absorption. This is false. Drinking baking soda for weight loss will not block calories or make you burn them faster. However, it does help relieve digestive issues because it counteracts with stomach acids, leading to burping and the release of built-up gases. This makes you feel better, but it does not affect your calorie intake. While consuming baking soda will not block calorie absorption, it may help you work out more effectively. One study found that taking baking soda an hour before strength training for the lower body led to less muscle fatigue and higher repetitions. More research needs to be done, but it looks promising. In addition to this, it is thought baking soda may improve endurance during cardiovascular activities and exercise. As you move at higher speeds and intensity, your body makes lactate. If you reach a point when you can’t burn the lactate as fast as it is produced, you will feel drained. It is thought baking soda make act as a buffer to this reaction, allowing you to workout longer. So, while it cannot block calories, by improving your exercise regime it is helping you lose weight. As with almost any substance, there are precautions and risks to consider when consuming baking soda. Even though it has been used for years as a common treatment for indigestion, it can cause its own set of problems. If you take too much baking soda or have it right after eating a very large meal, you run the risk of bursting your stomach. Caused by an excess amount of gas in an overly full stomach, it is a rare but very possible complication. Another thing to consider when taking baking soda is the substance is high in sodium. If you suffer from a heart problem or have kidney issues, this could negatively affect your health. Consuming too much sodium can raise your blood pressure, as well as interact with medications. If you take aspirin, medication for diabetes or are taking antibiotics, speak with your doctor before consuming baking soda. Simply drinking baking soda for weight loss would be great, because it would be easy. However, since it does not work, you might want to consider choosing a healthy lifestyle as a means to lose weight. Look at your diet and see how you can eat healthier. Evaluate your exercise routine and figure out if you can step it up a level. There are online tools to help you figure out how many calories you need to eat to maintain or lose weight. Set a goal to lose about 2 pounds a week. When setting your daily calorie intake goal, do not go below 1,800 calories if you are a male or 1,200 calories if you are a female. You can cut additional calories by increasing your exercise activity and burning more. Eliminate sodas, saturated fats, sweets and refined grains from your diet. Substitute these with whole grains, lean proteins, fibrous vegetables and watery fruits. Exercise at a moderate pace for a minimum four hours per week or 30 minutes per day. To create lean muscle mass, add strength training to your exercise routine. Muscle helps you burn fat at a quicker rate. Drinking baking soda for weight loss may not help you block the absorption of calories, but it is beneficial in other ways. In fact, it can give you that boost of energy you need when exercising. Consuming one of these drinks may even increase your endurance times by neutralizing lactate production and consumption by your body. Place coconut water in pan and heat on low setting. Add baking soda and mix until dissolved. Add all the other ingredients and mix until combined. Cool and pour into a jar. Close the lid and shake well each time you drink. You can store in the refrigerator for up to one week. This drink is a great combination of minerals such as calcium, iron, magnesium, zine, b-vitamins, calcium, and potassium. It is nutritious, stimulates your immunity system and regulates your digestion. Mix apple cider vinegar into cup of water. Add baking soda and mix until dissolved. Drink will fizz at first. Allow all the foam and bubbles to dissipate before drinking. This drink helps with acid reflex because it neutralizes the stomach acids in your stomach and helps you release excess gas build-up by inducing burping. Mix baking soda into green tea until dissolved. Studies have shown green tea can boost weight loss by blocking the enzymes that assist in the storage of fat cells. The compounds of caffeine, catechins and theanine are found in green tea and have been found effective for burning calories, unlike drinking baking soda for weight loss on its own.